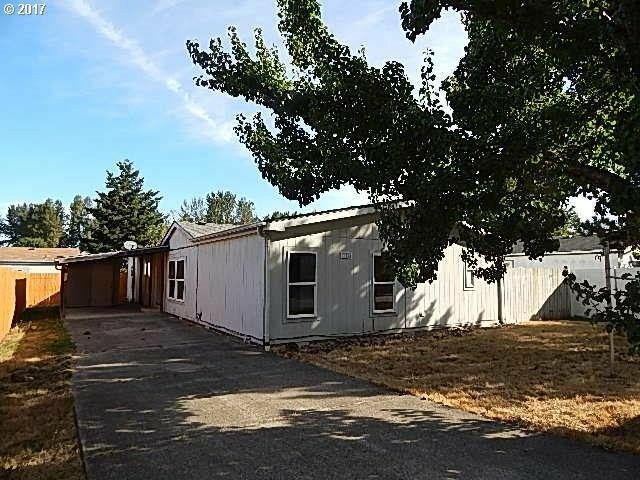 This HUD owned double wide manufactured home has 1,782 square feet of cozy living space with an open floor plan with a large living room, den with French doors, dining room and huge kitchen with eating bar and pantry! There are three bedrooms and 2 baths. Fenced yard with patio, carport and storage shed! Stay comfortable all year round with forced air heat and central air! This one is a must see!